Attempts to breed these three rhinos naturally have proven unsuccessful. Tam’s sperm quality is not ideal. Although Puntung and Iman are still producing eggs, they both have reproductive pathologies that have rendered them unable to bear a foetus. 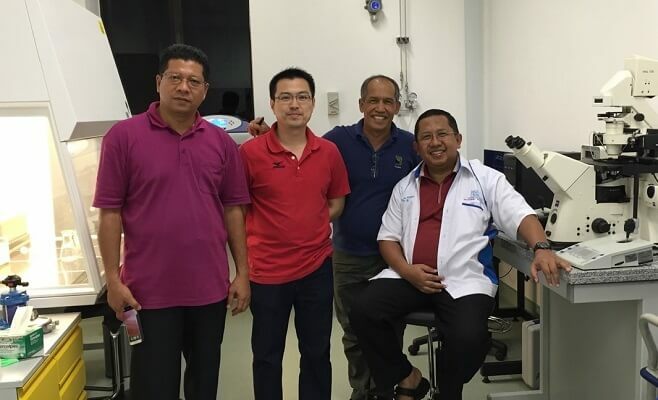 The only way the species can be saved in Malaysia is through advanced reproductive technology (ART) – using methods such as in-vitro fertilization to create a Sumatran rhino embryo in a laboratory before implanting it in a viable surrogate mother. 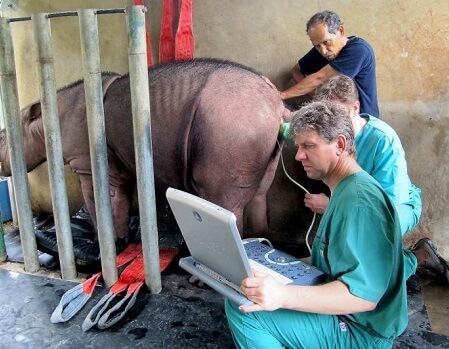 This scientific method has proven successful for humans and livestock, but it has never been attempted on the Sumatran Rhino before. BORA have teamed up with renowned international reproductive scientists to work towards a breakthrough before it’s too late. This experimental process is costly and laborious. As of June 2016, BORA’s funds have run out. If we cannot secure further funding needed to continue ART, our efforts will come to an end and the species will become extinct in Malaysia. 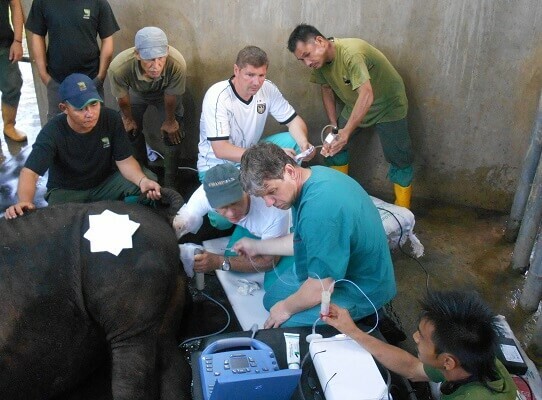 BORA and three rhinos need your help. Click here to find out how you can help support this cause. 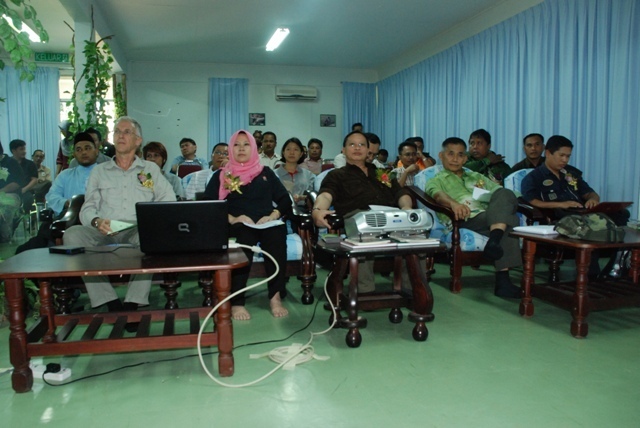 Sabah Wildlife Department comes under the Sabah State Ministry of Tourism, Culture and Environment. 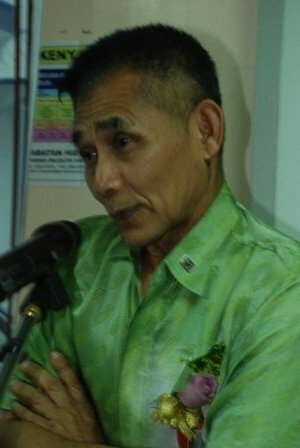 In 2011, the Ministry welcomed a new Permanent Secretary, Datuk Michael Emban, who is also Chairman of the Borneo Rhino Sanctuary (BRS) programme steering committee. BORA made a courtesy call on Datuk Michael on 23 May 2011 with Sabah Wildlife Department Assistant Director Dr Sen Nathan to outline progress of the BRS programme. Picture shows Datuk Michael Emban (third from left) receiving a memento from Professor Dr Abdul Hamid Ahmad (left), Chairman of the BORA board of directors during the courtesy call. Also in the picture are Dr Sen Nathan (second from left), BORA Executive Director Datuk Dr Junaidi Payne (fourth from left), Deputy Permanent Secretary Mr William Baya, and Assistant Secretary (Environment) Mr Edip Abun. The Sumatran rhinoceros is Malaysia’s rarest and most endangered species. 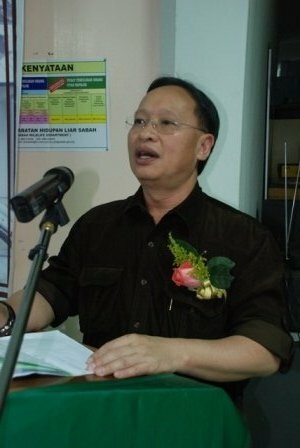 Sabah now has the last known remaining small populations of this species in Malaysia, at Danum Valley and Tabin Wildlife Reserve, both in Lahad Datu District. What needs to be done has already been determined by government. 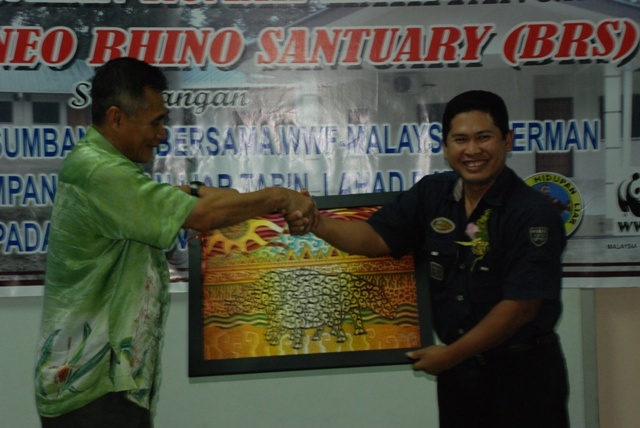 The first need is to prevent the loss by poaching or by illegal traps of Sabah’s remaining wild rhinos. 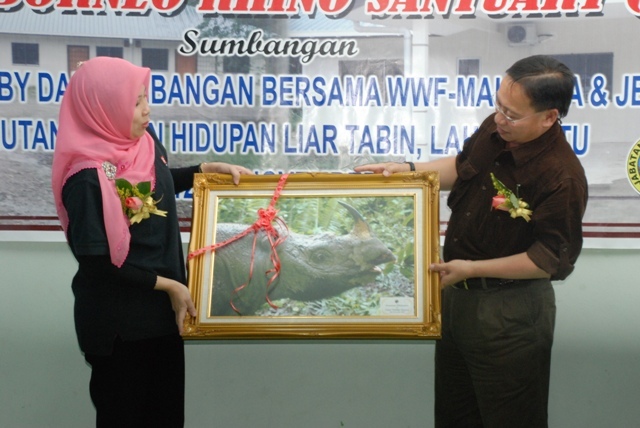 The second need is to bring the few remaining rhinos which are not breeding to the Borneo Rhino Sanctuary, a managed fenced facility being developed at Tabin Wildlife Reserve. Dr Laurentius Ambu, director of Sabah Wildlife Department, recalling that only a decade or two ago, Tabin was a remote site with poor road access, said “The people who will be protecting, monitoring, rescuing and caring for rhinos need a comfortable place to stay”. 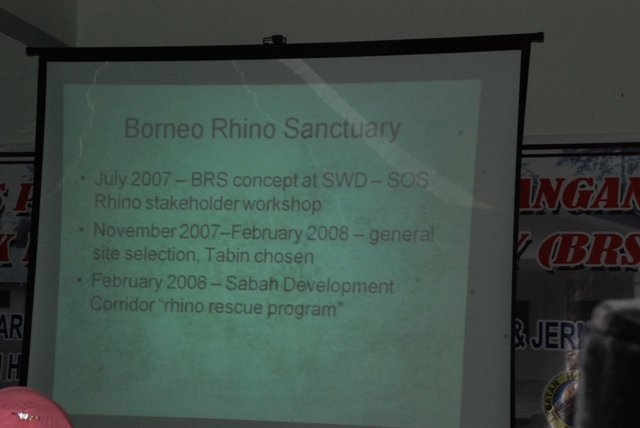 This point was echoed by Datuk Junaidi Payne, executive director of the non-governmental organization named Borneo Rhino Alliance (BORA) in his briefing at the event. 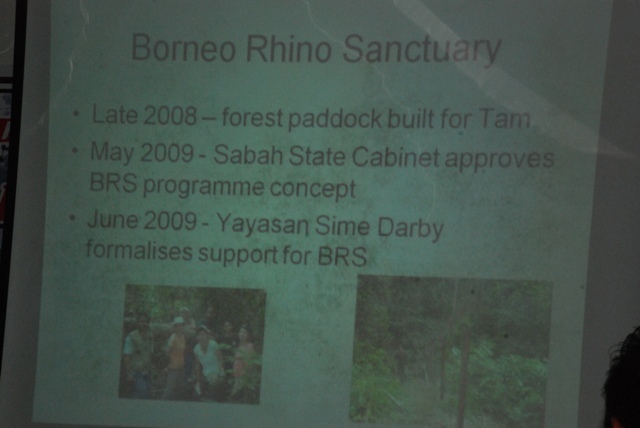 Yayasan Sime Darby pledged in 2009 to contribute RM5 million to development of Borneo Rhino Sanctuary over the period 2009-2012, as well as additional funds for management of wildlife in Tabin Wildlife Reserve. A part of those funds have been used to construct five units of staff accommodation at Tabin, with a total of fifteen bedrooms. 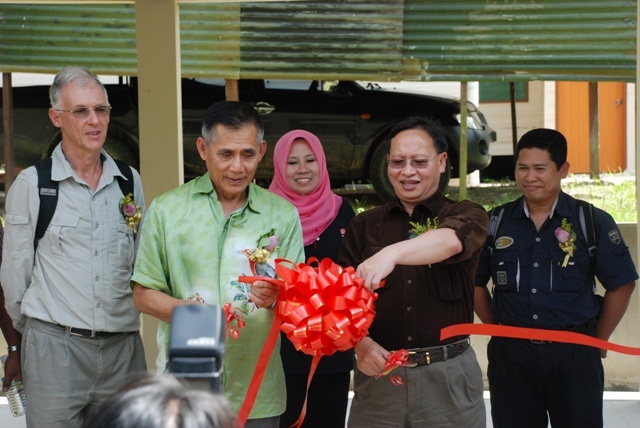 The accommodation, known as Rumah Gajah and Rumah Harimau Dahan, was officially opened on 12 November. 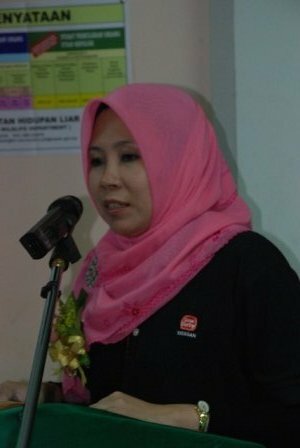 Yayasan Sime Darby was represented by its chief executive officer Puan Yatela Zainal Abidin. Yayasan Sime Darby has pledged support for a wide range of programmes encompassing human welfare, education and sports, as well as conservation of the natural environment. At the same time, another house with six bedrooms, called Rumah Badak, funded by WWF-Malaysia and WWF-Germany was officially opened at Tabin, by WWF-Malaysia president Dato’ Seri Tengku Zainal Adlin in the presence of Dr Laurentius. 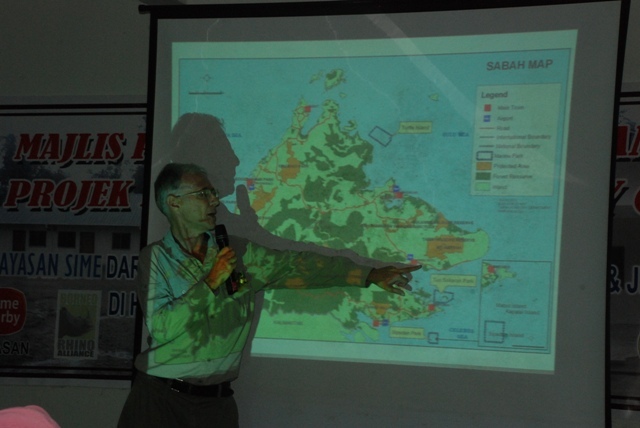 Tengku Adlin noted that WWF-Malaysia, currently focusing attention on the Coral Triangle marine ecosystem and the Heart of Borneo forests, has had a long history of association with Tabin and rhinos. The officiation of the buildings was witnessed by a variety of neighbours and agencies, including Lahad Datu District Office, Sabah Forestry Department and the Royal Malaysian Police Department, as well as Tabin Wildlife Resort, and the NGOs Sepilok Orang-utan Appeal and LEAP. In addition to Sime Darby, representatives of oil palm plantation companies included Tradewinds Berhad (Ladang Permai), Kuala Lumpur Kepong, PPB Plantations, IOI Plantations, Sabahmas, Tomanggong Estates and FELDA Sahabat. 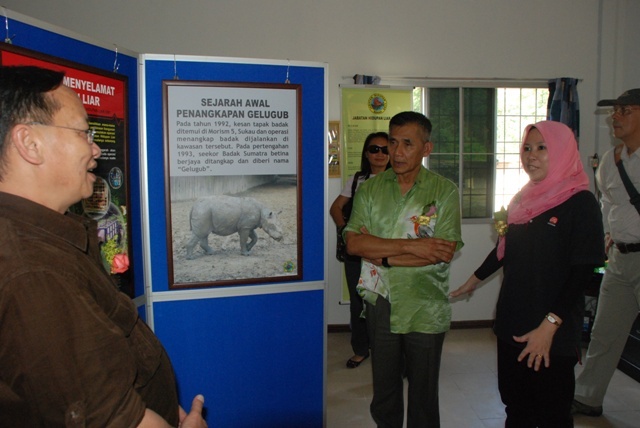 “All are neighbours to Tabin or other forest sites where rhinos occur and several are contributing “in kind” to the Borneo Rhino Sanctuary programme by way of support such as added security, help and accommodation for staff out on patrol, and even by supply of gravel for the rhino enclosure” said Datuk Junaidi.